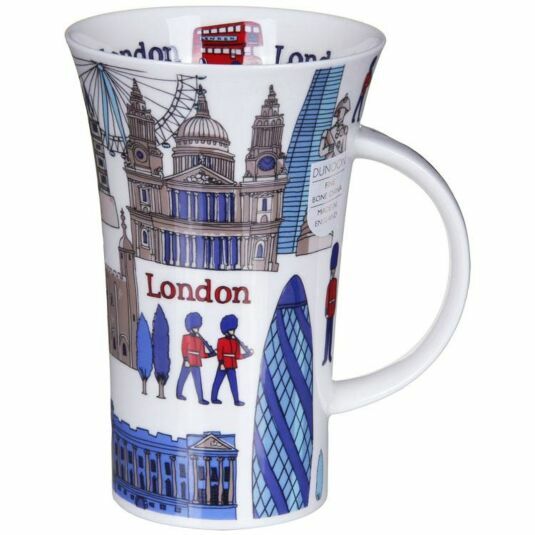 The landmarks and sights associated with the great city of London are portrayed by Caroline Dadd on this mug from Dunoon. St Paul’s Cathedral, Nelson’s Column, Big Ben and the Tower of London are mixed together with modern architectural icons such as The Shard, the Gherkin and the London Eye. Red-coated, busby-wearing soldiers march among the buildings. 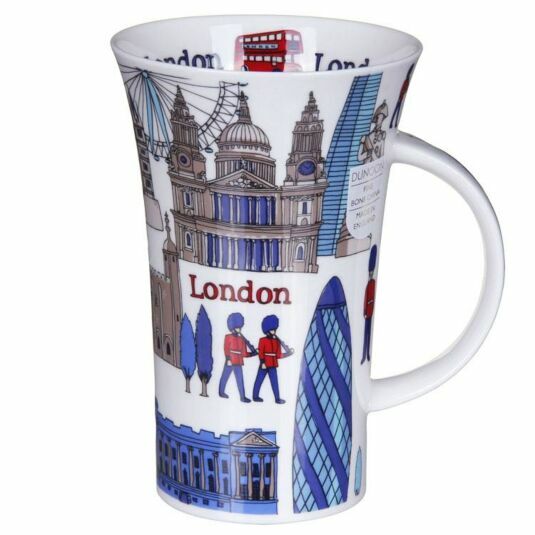 The word London is printed across the mug in bright red letters, and inside the rim a red London bus is featured. A wonderful souvenir for anyone who has enjoyed a visit to the capital and wishes to treasure the memory.